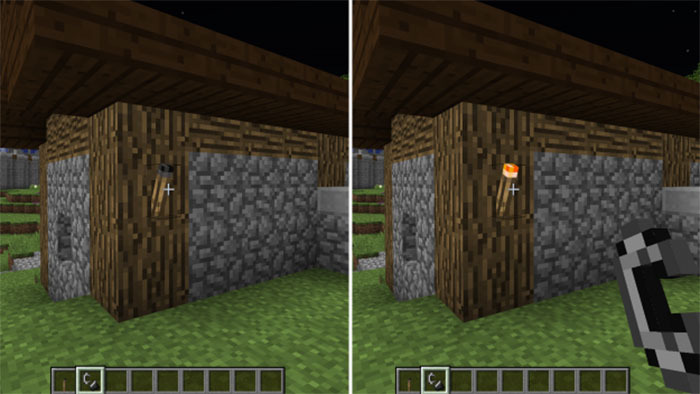 The Realistic Torches Mod brings lots of realistic torches in Minecraft that will make your Minecraft look more beautiful. 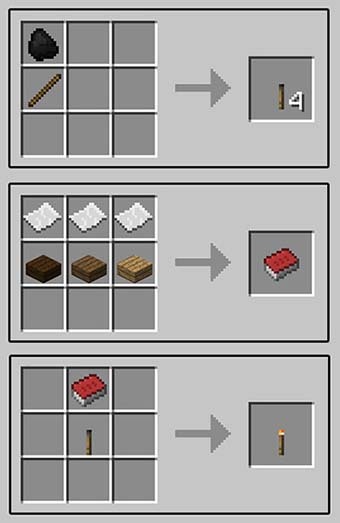 Every minecraft player knows that any fire will not stand for ever so if you’re installing this mod you will get torches that will not burn forever, or even when the fire will consume whatever feeds it and at the end will puff smoke. So once you got those new torches your lighting source will become more realistic and you will need to be really carefully when they will turn off to make another one if you still want to have light. The Realistic Torches Mod allows you to craft a torch that will need to be manually lit using flint & steel or a matchbox. Even if you ever tried different torches mod and you’re not planning to use anyone anymore we strongly recommend you to use this one because you will not be disappointed. Every torch will live on a timer and they will smoke at the end of its lighting life. Every torch time can be adjusted so you can set the time of how much your torch want to be active from the mod config file. As the default time of the mod the torches life span are 60 real minutes but you can increase or decrease the time at any time you want. A great thing is that you are able to craft the torches by using a glowstone crystal instead of coal like in the vanilla minecraft. Once a torch burns out, they are gone forever and you must craft another one. This Realistic Torches mod is so realistic that if you try to start burning a torch in the rain you will not succeed, so it is kinda great if you want to bring some great features from real life in the Minecraft. Added config options for unlimited matchbox uses and no torch burnout.